It’s no secret that the world of digital marketing is shifting its demographic, and Google Home marketing is one of the biggest trends on the horizon. More than ever, people are using voice searches and voice commands to complete daily tasks, creating a lot of open space for marketing opportunities for business owners and entrepreneurs. With Amazon currently owning 52% of that marketing, it’s important for us to jump on this opportunity while the iron is hot, and I’m here to tell you how to get started. With how popular and how in demand smart speakers have been in the last two years, it doesn’t take much to imagine just how much those numbers will increase in the upcoming months. Over the holidays in 2017, 16 million smart speakers were sold, which was an increase of 4 million when comparing to 2016. Many people now rely on smart speakers to get their daily news, current event updates, and other things, which means the market for growing your audience towards these people is immense and wide open! Alexa, the AI assistant paired with Amazon Echo products, is at the top of the pack right now, but can we use the same features and get the same results with our Google Home marketing and our Apple products? The short answer is yes; however, we need to make sure that we’re using the power of smart speakers correctly in order to advance in this field and get the best possible results in the long run. What Is Google Home Marketing? 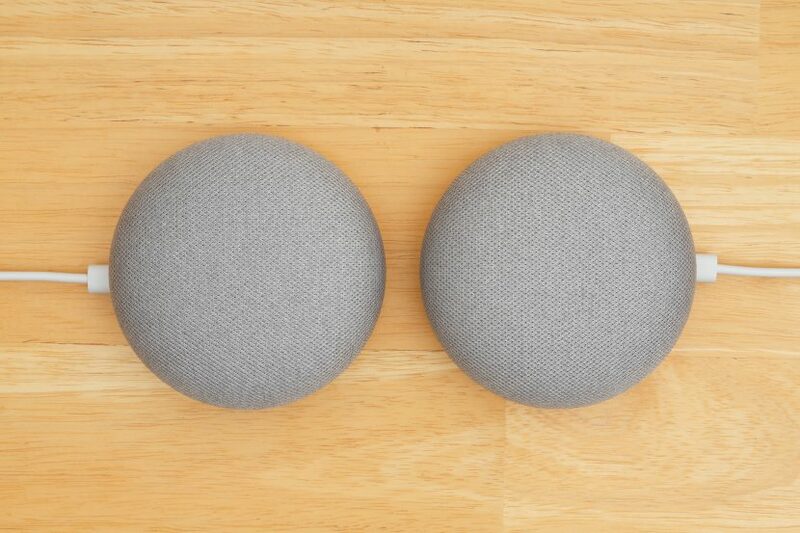 Before we can get into the specifics, we need to understand what is a Google Home device is. 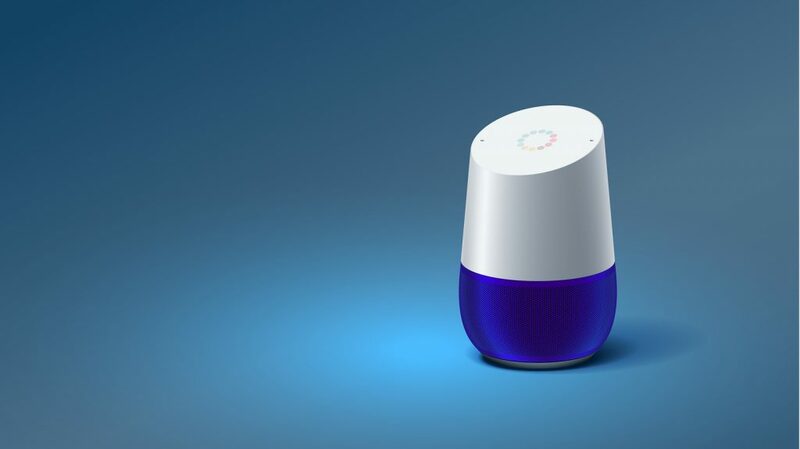 As expected, a Google Home is a smart speaker created by Google to make the functionality of a modern smart home easier and more efficient. With just your voice, you can ask Google to give you a hand with a vast array of tasks. From getting the news to listening to your favorite playlist and even turning on your television to enjoy your favorite show, Google is here to help make everything as easy and hands-free as possible. The small design allows you to fit more than one in a variety of rooms in your house, making it easy to control things from anywhere in your home. In addition to giving you updates on current news and events, your Google Home can also keep track of your daily activities with planning and scheduling your personal event calendar. Simply ask Google what you’ve got planned for the day when you wake up in the morning, and preparing for whatever comes your way becomes a breeze! Perhaps the best thing about your Google Home, however, is the number of things it’s compatible with. With up to 5,000 smart home devices from over 150 brands to choose from, you never have to worry about your Google Home refusing to sync up with anything else you might want to purchase for your smart home, making it effective in the long run! Smart speakers are the future of digital marketing, and with a simple voice command, customers all over the country can get daily news as they start their morning routine. Amazon is at the forefront of this marketing venture with their “flash briefings”, which is content that’s in current works to suit your Google Home device as well! For now, though, you can stream your information through your Google Home, and give people a chance to explore their Google Home marketing with the use of flash briefings. What exactly is a flash briefing, you might ask? It’s something you ask for when you subscribe to various daily news sources and current event magazines. They play at the beginning of your day when you ask for your flash briefings and give you an update on what’s happening in your sphere of interests. Anyone can create their own flash briefing, and that’s where the art of Google Home marketing comes into play. Marketers can create their own flash briefing, effectively putting them into the homes of millions of potential customers. In just a minute’s time, you can promote your business, provide people with actionable advice on a topic that you’re extremely well versed in, and drive traffic back to your website in the same breath. That’s right—you can drive traffic directly to your business is just a minute with flash briefings. So long as you follow the minute marketing formula, you can use the power of smart speakers and Google Home marketing to increase your audience overnight! 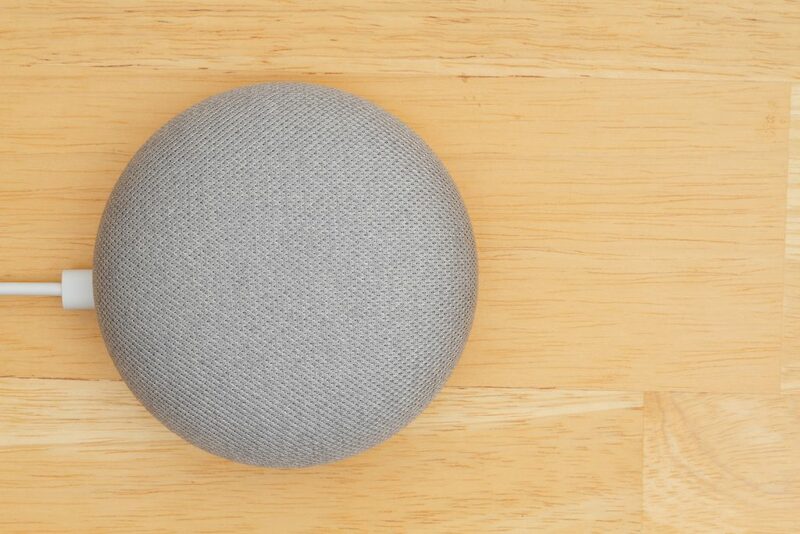 Smart speaker marketing revolves around the sheer amount of people who rely on these devices to get their daily information, and with that much free space to include our businesses and our brands, it’s no wonder why Google Home marketing is taking off in such a strong and quick way. Trust me when I say that this is an opportunity you need to jump on now. In a year’s time, I guarantee that this space will be oversaturated with marketers trying to grow their business. If you join in now, you’re giving yourself a head start in the marketing game. Google Home marketing is honestly as simple as taking time to record these flash briefings once a month, uploading them to your account, and letting the traffic come to you through the people that subscribe to your marketing minutes and care about what you have to say. Use the strength of smart speakers and AI assistance to your advantage, and grow your business in a new and unconventional way!